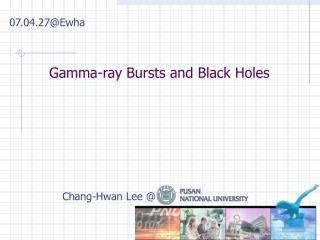 Colliding Black Holes Werner Benger, ZIB/AEI. 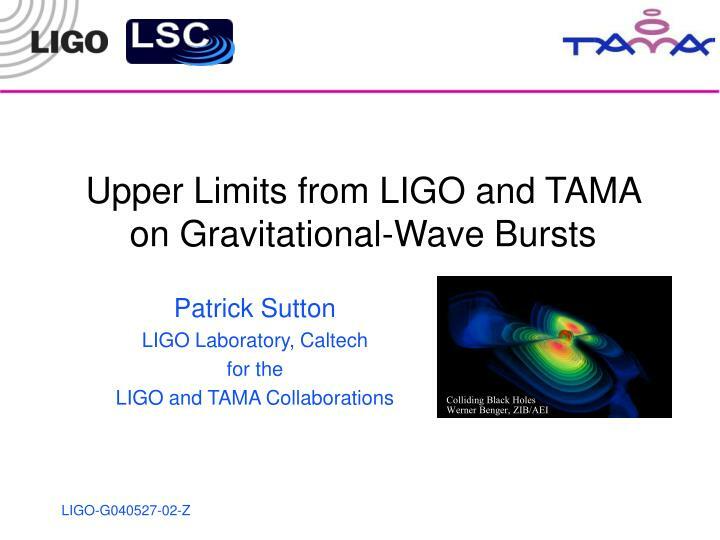 Upper Limits from LIGO and TAMA on Gravitational-Wave Bursts. Patrick Sutton LIGO Laboratory, Caltech for the LIGO and TAMA Collaborations. Outline. 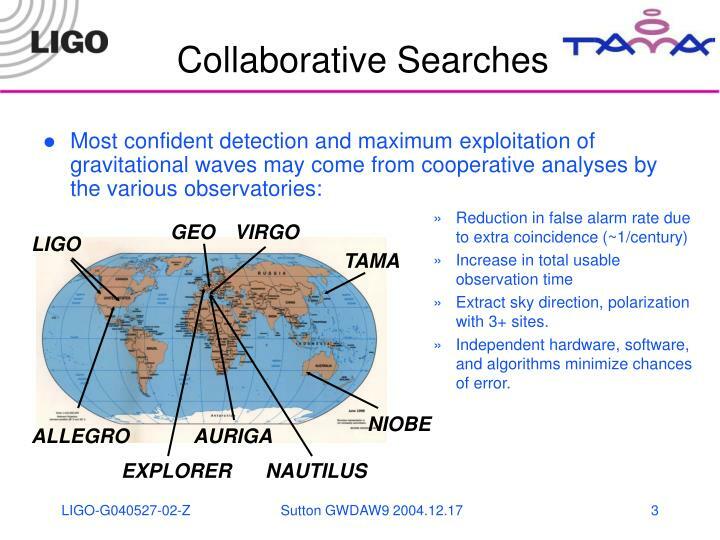 Collaborative Searches LIGO-TAMA Network Analysis Overview Upper Limits & Outlook. Extract sky direction, polarization with 3+ sites. 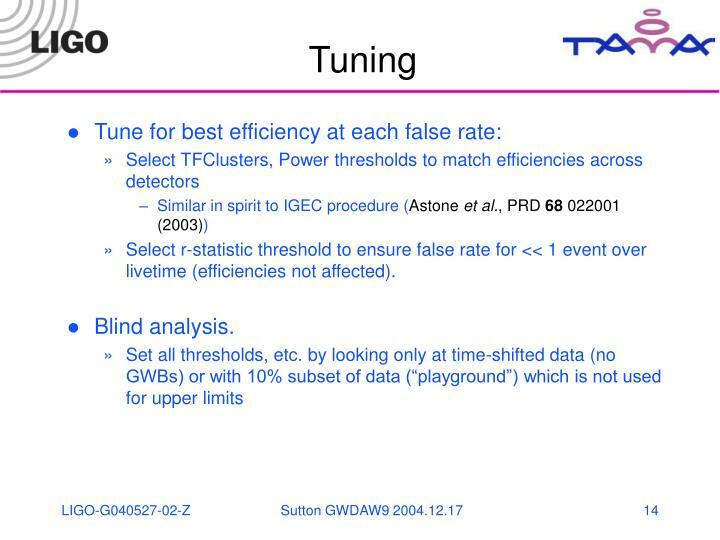 Independent hardware, software, and algorithms minimize chances of error. … different parts of the sky. 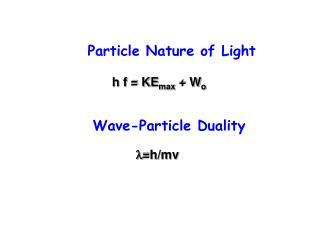 Different search algorithms, file formats, sampling frequencies, etc. Unfortunately, these benefits don’t come without hard work. Physical and technical challenges abound. 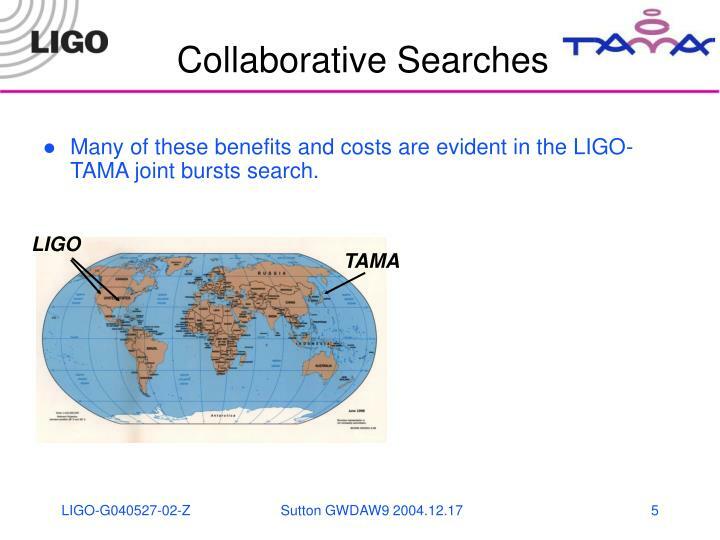 Many of these benefits and costs are evident in the LIGO-TAMA joint bursts search. 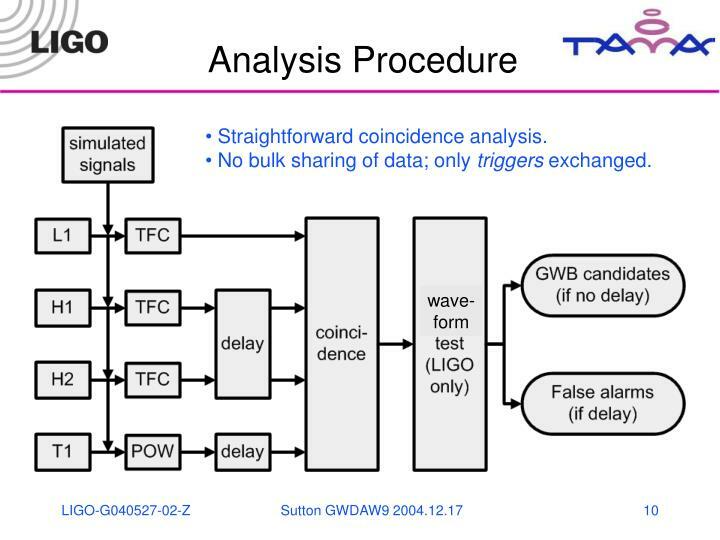 GWDAW 7, 2002: LIGO & TAMA sign agreement for joint analysis of data for gravitational-wave transients. 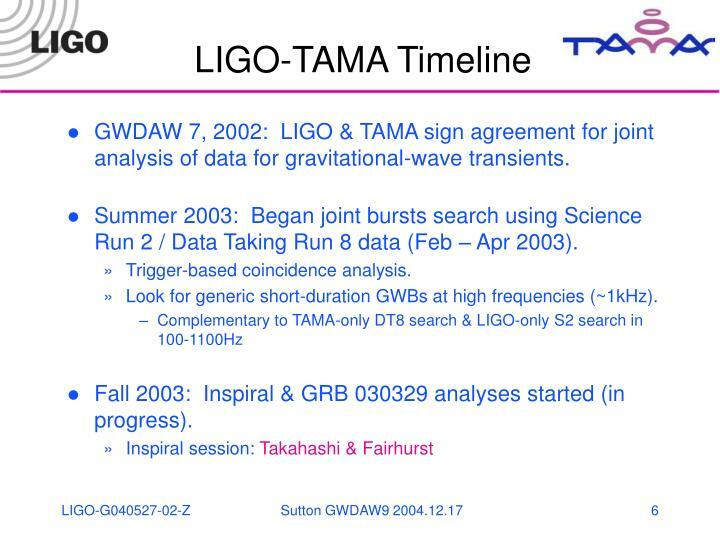 Summer 2003: Began joint bursts search using Science Run 2 / Data Taking Run 8 data (Feb – Apr 2003). 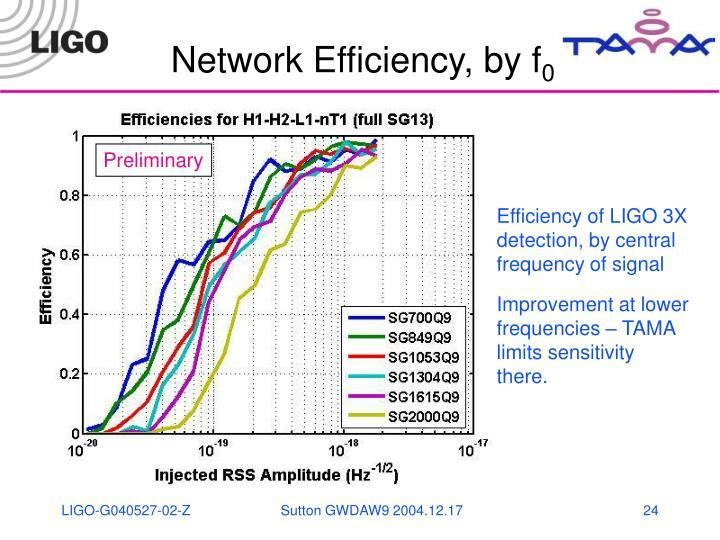 Look for generic short-duration GWBs at high frequencies (~1kHz). 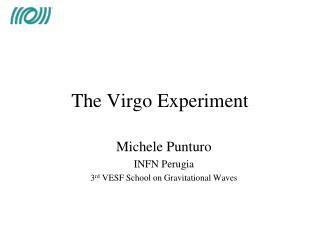 Fall 2003: Inspiral & GRB 030329 analyses started (in progress). No bulk sharing of data; only triggers exchanged. Prefiltering with high-pass, linear-predictor error filters. Construct time-frequency spectrogram, trigger on clusters of pixels which are “loud” compared to average noise level. 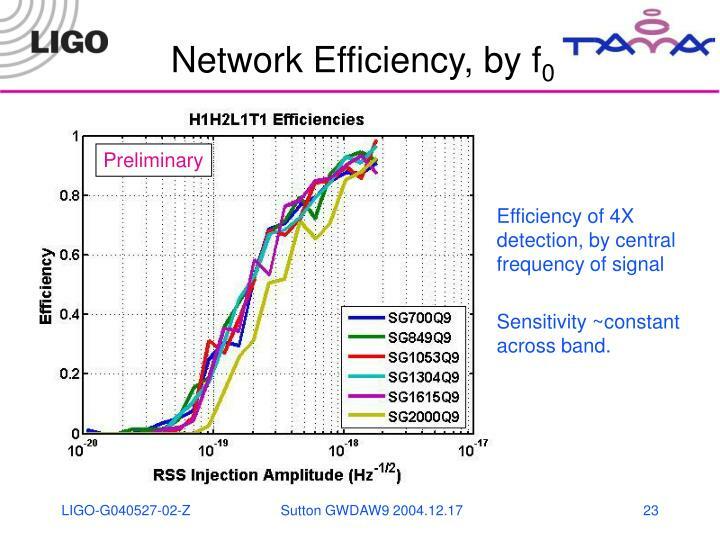 Peak time, duration, frequency, bandwidth, SNR; keep only triggers overlapping [700,2000]Hz. Sylvestre, PRD 66 102004 (2002). Construct spectrogram, normalize by background, sum over fixed set of frequency bins in [230, 2500]Hz at each time step. Trigger if SNR>4. 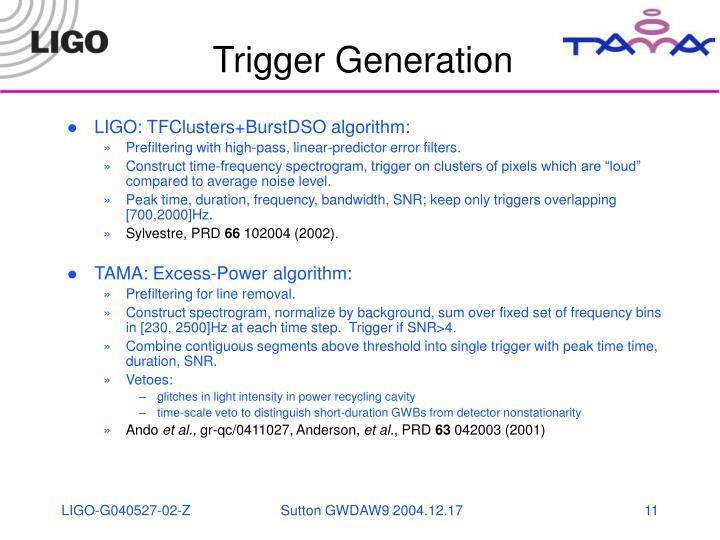 Combine contiguous segments above threshold into single trigger with peak time time, duration, SNR. 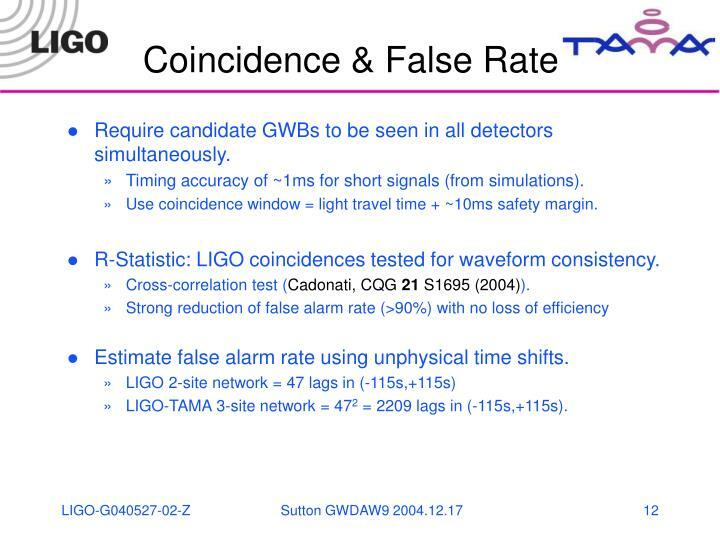 Require candidate GWBs to be seen in all detectors simultaneously. Timing accuracy of ~1ms for short signals (from simulations). Use coincidence window = light travel time + ~10ms safety margin. 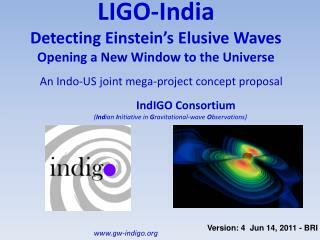 R-Statistic: LIGO coincidences tested for waveform consistency. Cross-correlation test (Cadonati, CQG 21 S1695 (2004)). 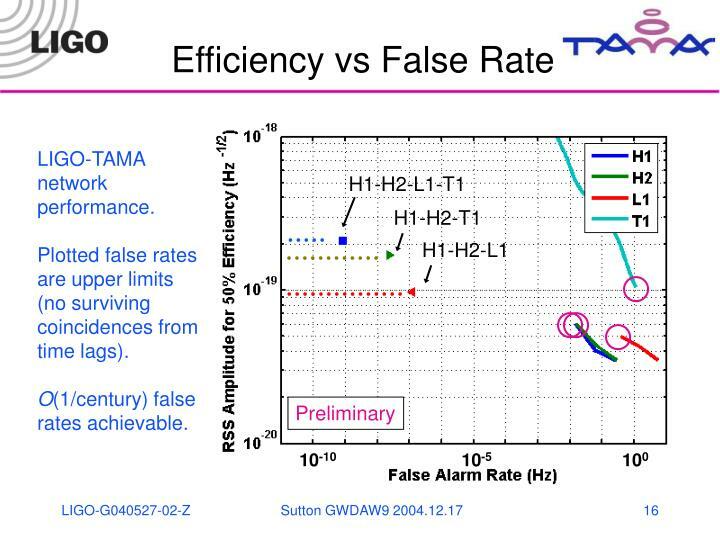 Estimate false alarm rate using unphysical time shifts. 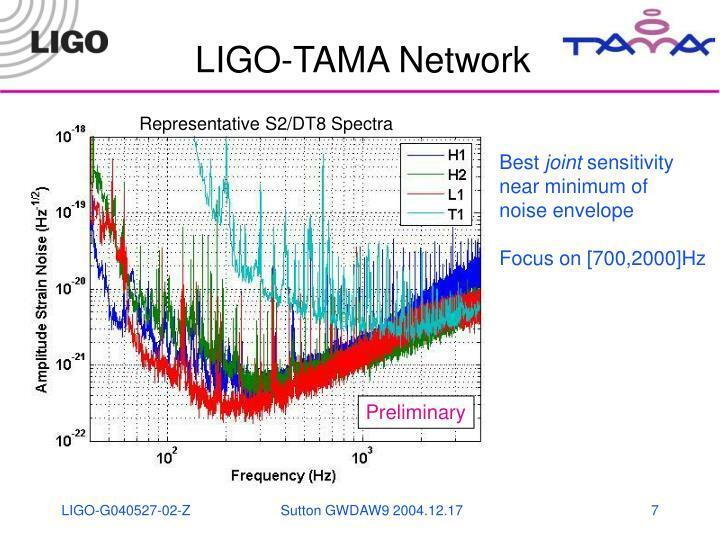 LIGO-TAMA 3-site network = 472 = 2209 lags in (-115s,+115s). 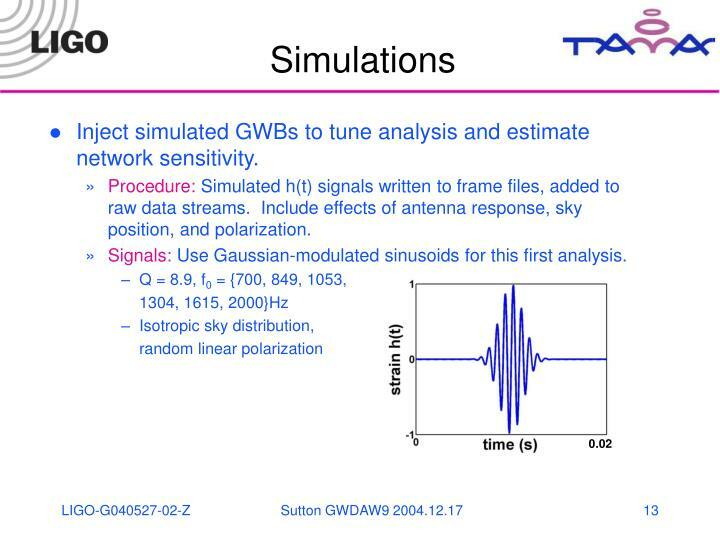 Inject simulated GWBs to tune analysis and estimate network sensitivity. 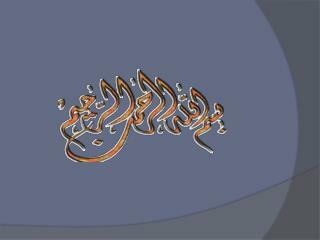 Procedure: Simulated h(t) signals written to frame files, added to raw data streams. 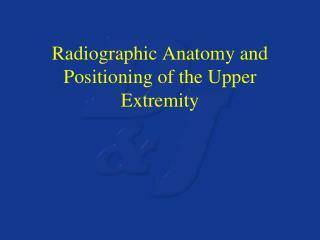 Include effects of antenna response, sky position, and polarization. 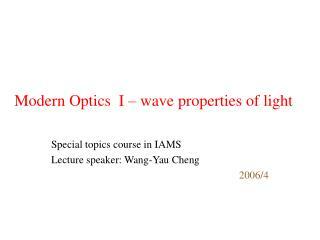 Signals: Use Gaussian-modulated sinusoids for this first analysis. Select r-statistic threshold to ensure false rate for << 1 event over livetime (efficiencies not affected). 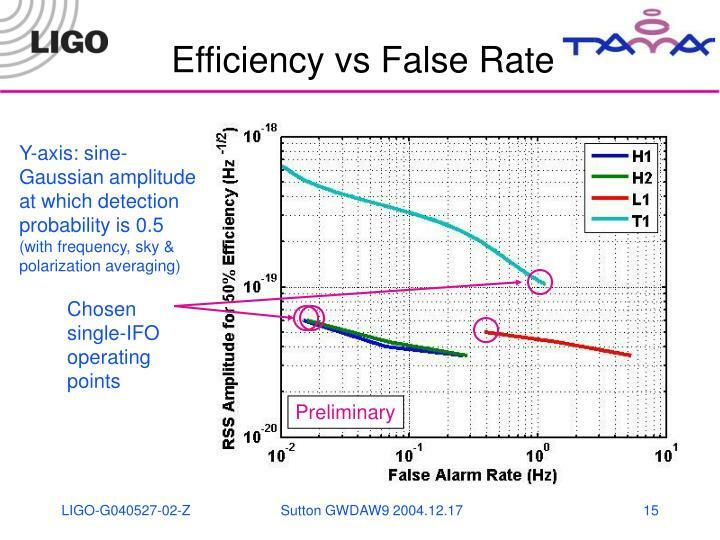 Plotted false rates are upper limits (no surviving coincidences from time lags). 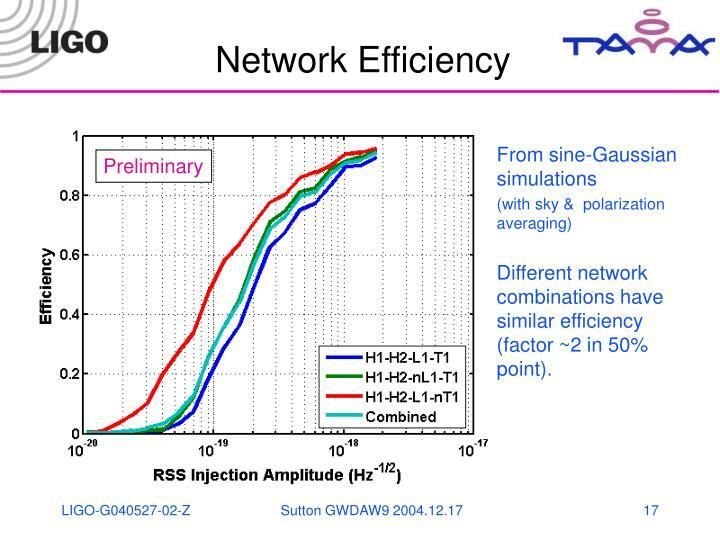 Different network combinations have similar efficiency (factor ~2 in 50% point). No surviving coincidences (no GWB candidates). 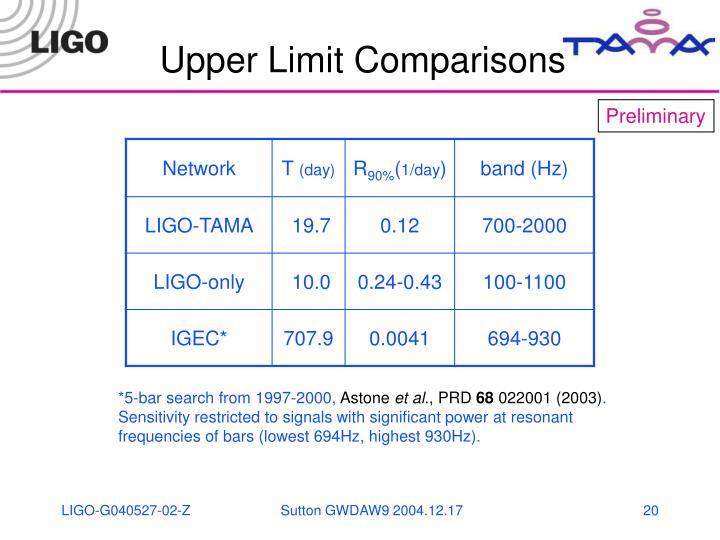 *5-bar search from 1997-2000, Astone et al., PRD 68 022001 (2003). frequencies of bars (lowest 694Hz, highest 930Hz). 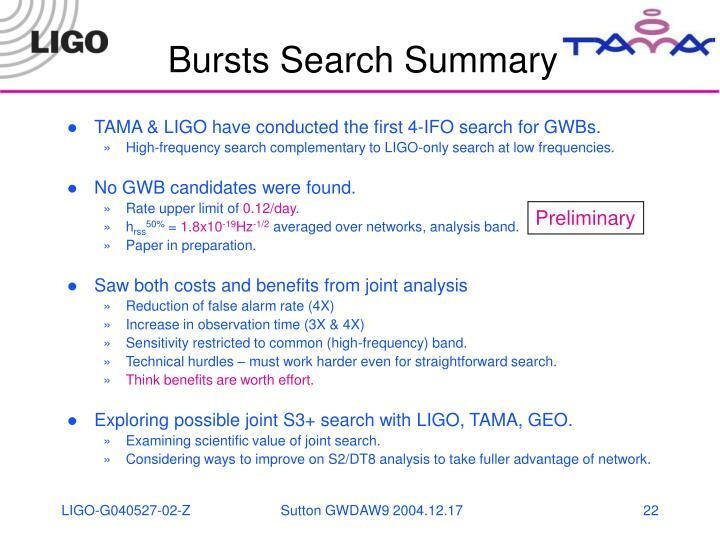 TAMA & LIGO have conducted the first 4-IFO search for GWBs. 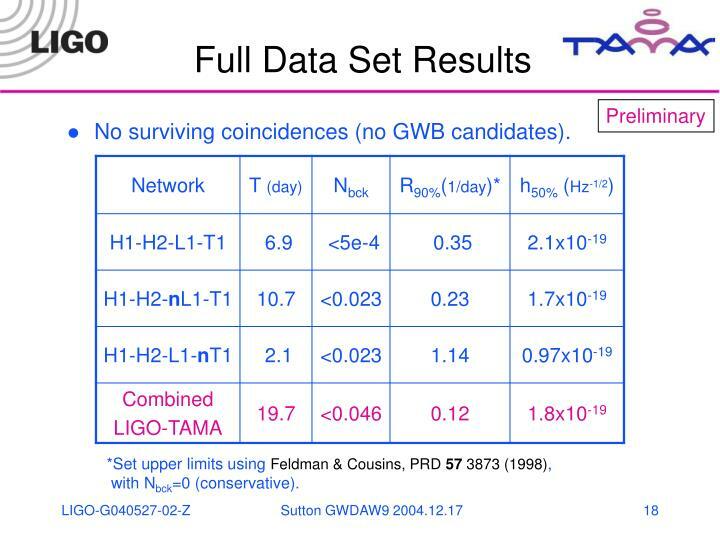 High-frequency search complementary to LIGO-only search at low frequencies. 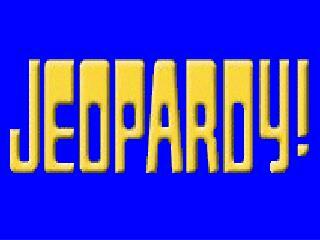 No GWB candidates were found. 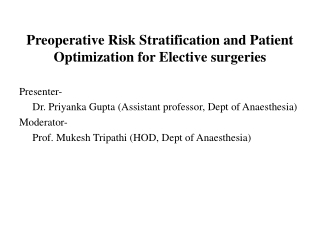 Rate upper limit of 0.12/day. 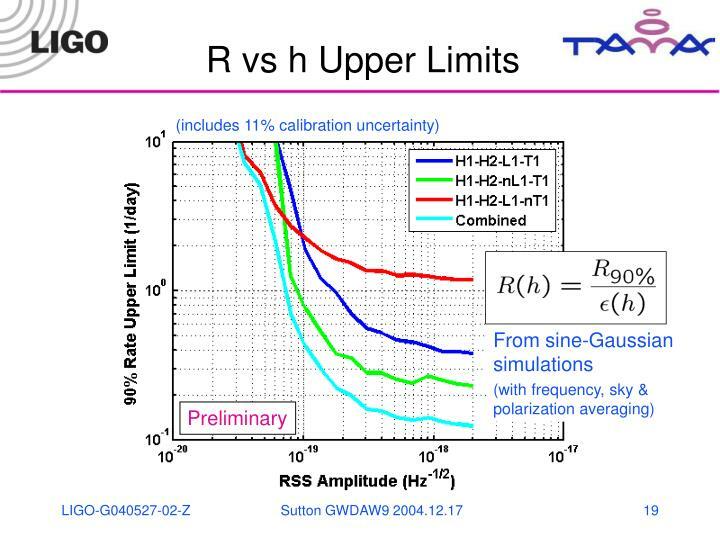 hrss50% = 1.8x10-19Hz-1/2 averaged over networks, analysis band. Sensitivity restricted to common (high-frequency) band. Technical hurdles – must work harder even for straightforward search. Think benefits are worth effort. 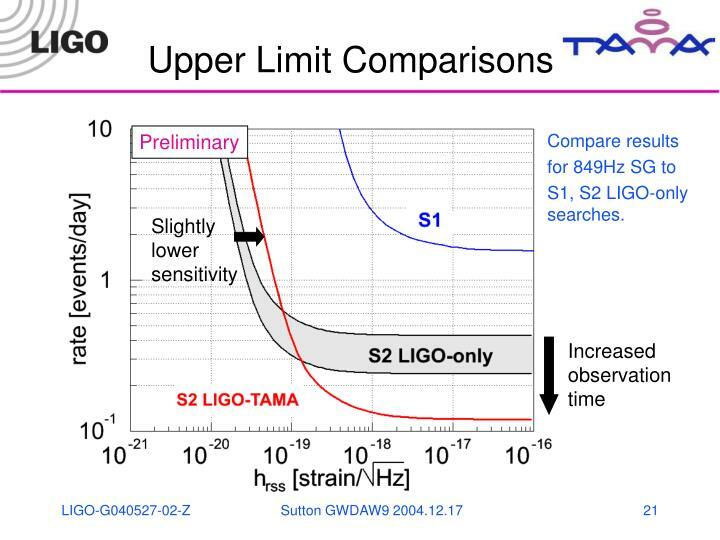 Exploring possible joint S3+ search with LIGO, TAMA, GEO. 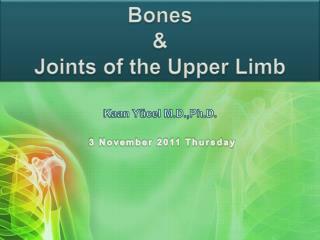 Examining scientific value of joint search. 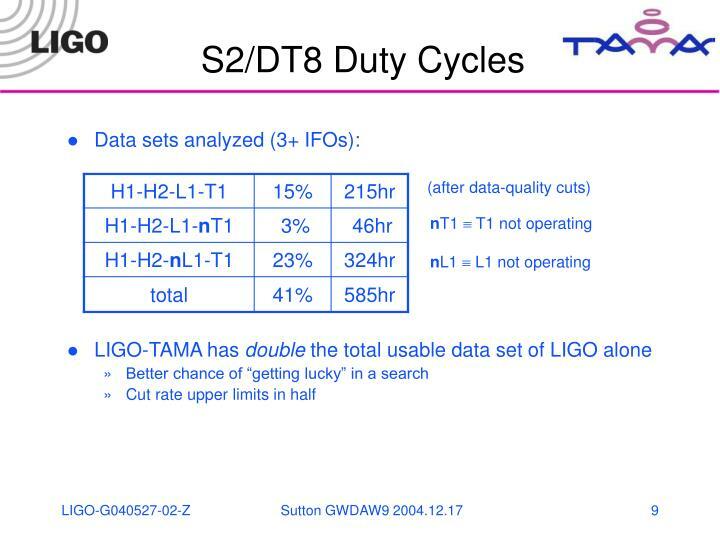 Considering ways to improve on S2/DT8 analysis to take fuller advantage of network. 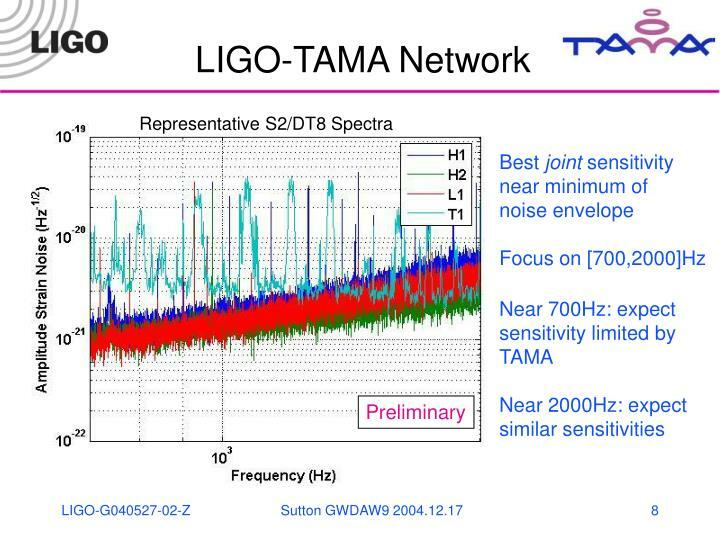 Improvement at lower frequencies – TAMA limits sensitivity there. 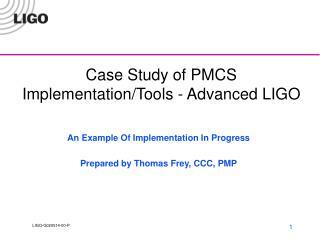 Are there ways of improving care and achieving QIPP? -. 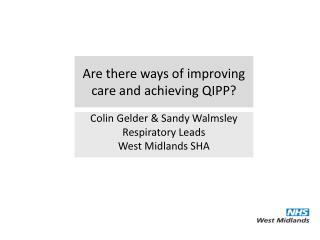 colin gelder &amp; sandy walmsley respiratory leads west midlands sha. nhs. pct revenue limits £bn. pct revenue limits £bn. pct revenue limits £bn. pct revenue limits £bn. 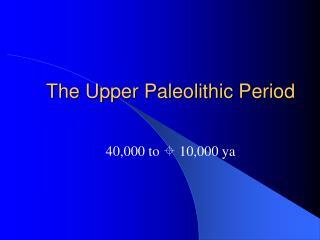 The Upper Paleolithic Period -. 40,000 to  10,000 ya. the upper paleolithic. 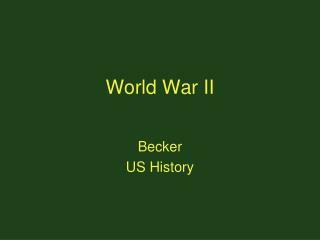 by 28 kya neanderthals gone. humans expand into most of the world. art appears and spreads. 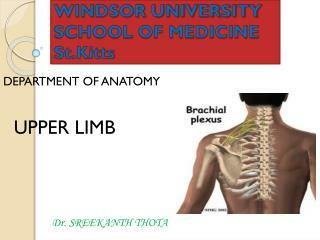 numerous technological innovations occur. domestication of the dog. $100 -. $100. $100. $100. $100. $200. $200. $200. $200. $200. $300. $300. $300. $300. $300. $400. $400. $400. $400. $400. $500. $500. $500. $500. $500. tangents. 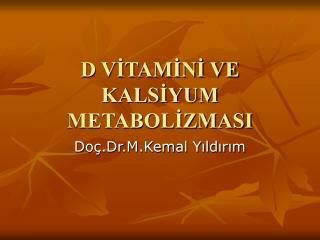 veolcity. 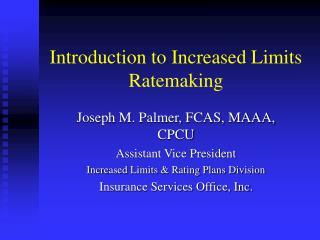 limits &amp; rationalizing. 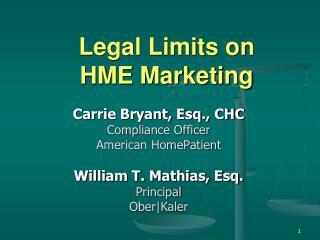 more limits. 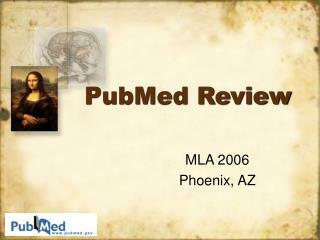 PubMed Review -. mla 2006 phoenix, az. rss feeds. rss feeds (cont’d). rss feeds (cont’d). rss feeds (cont’d). highlighting in search results. highlighting search results (cont’d). 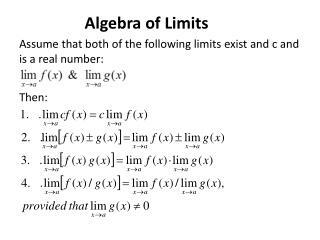 limits. 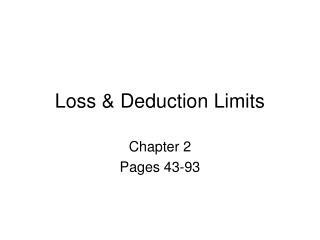 limits (cont’d). 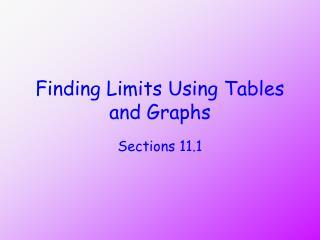 limits – author.